Announcing our 2019 Scholarship Recipients! 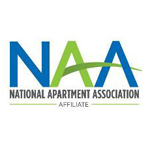 Earn your property management credential this year! Register now for early bird pricing. Payment plans are available. Questions? Contact Sloane Cerbana at the WMFHA office. "I love having those letters after my name!"